A 996,000-ton testament to the man sails the seven seas today, and will for decades to come. NEWPORT NEWS, Va.(WVEC) — Former President George H.W. Bush is highly thought of in many places around the country, but perhaps nowhere more than in Newport News, where a warship bearing his name was built. Huntington Ingalls Industries' Executive Vice President and Chief Transformation Officer Scott Stabler has many great memories of the nation's 41st president. "He is a guy who really modeled the way a life could be lived," he said. "It was great to be around that, great to see it first-hand." Stabler said he met Bush at least seven times during the construction process for the aircraft carrier USS George H.W Bush. At the time, Stabler served as the shipyard's vice president of the CVN-77 program. "It was a wonderful confluence of events," he said. "We had a great team that built a great ship for a great man. All the ships we build are important, but it was so very cool to have a living namesake." Stabler said he is sad, of course, about the president's passing, but "there is an appropriate period of mourning, but at the same time, this is absolutely a celebration of life, and a life well-lived." The USS George H.W. 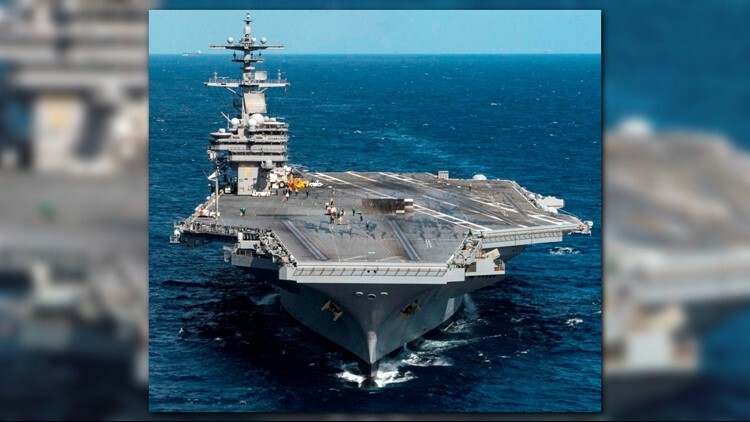 Bush is the Navy's tenth and final Nimitz Class aircraft carrier. It was commissioned in 2009.